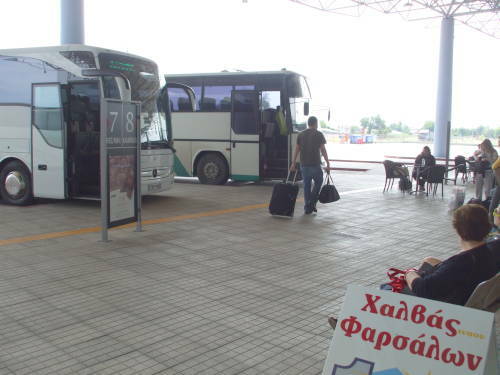 Much of your travel around the Greek mainland is likely to be by bus. The national bus system is run by ΚΤΕΛ or Κοινό Ταμείο Είσπραξιον Λεωφορίον (that is, KTEL or Koino Tamio Eispraxeon Leoforion, something like the Public Booking-Office of Ticket-Collecting Bus Operators), a group of regional collectives. The KTEL bus system exhibits all the efficiency, comfort, and logic you would expect from an organization of government collectives. At least the tickets are pretty cheap. 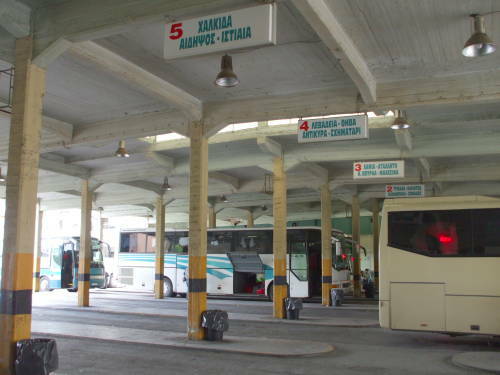 Smaller towns have a bus office which may only be open for short periods each day around the times of the buses. A schedule should be posted outside, so you have some guess as to when you might be able to get in. Delphi, for example, has a small two-room tourist office that also sells bus tickets, but it is only open a few times a day when buses are due. 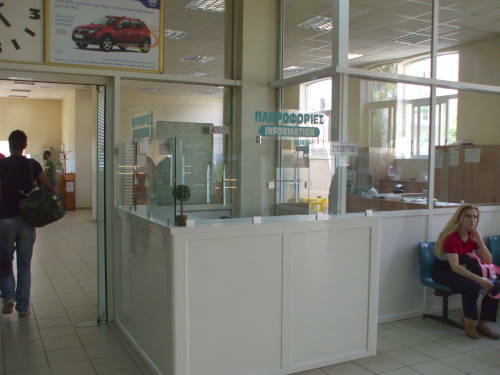 Nafplio, on the other other hand, has a bus office that remains open most of the day. 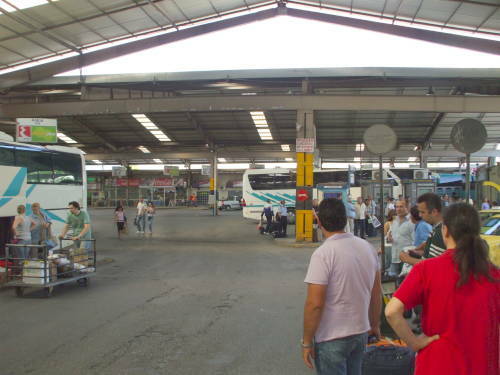 A few towns, such as Trikala, have larger modern bus stations almost comparable to those in small to medium sized Turkish towns. 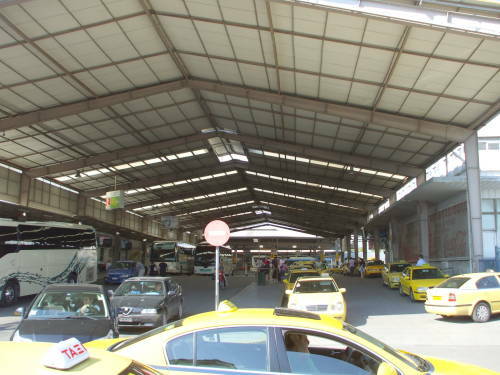 Modern bus station in Trikala. Then there is Athens... Like a lot of things in Greece, bus travel gets much better once you get out of Athens. The problem is that you first have to somehow get out of Athens. 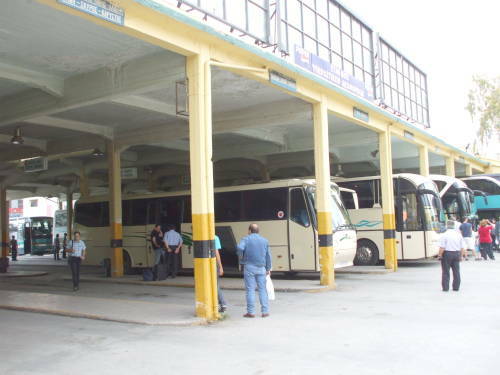 Athens has two main bus stations serving different areas of the country. Neither station is easily assessible via public transport. Nor is there any easy way to travel between them. 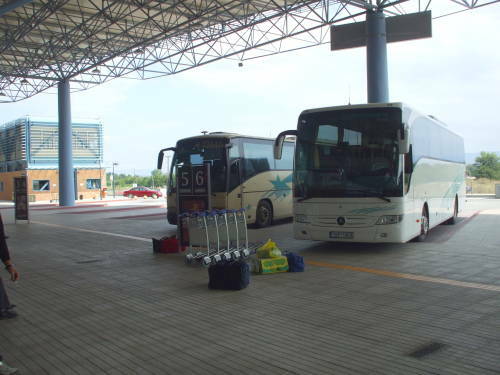 Bus Terminal A in Athens. Ticket booths at Bus Terminal A in Athens. 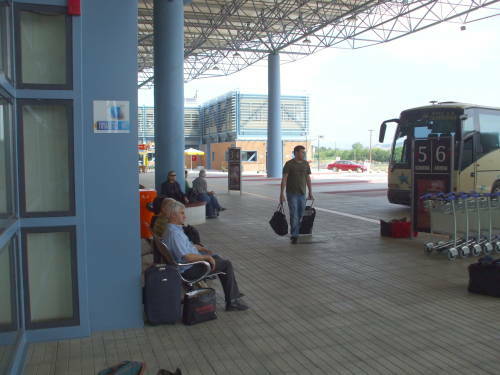 Bus Terminal A handles travel south to the Peloponnese and some destinations in western Greece. It is about 7 kilometers northwest from Plateia Omonias, reachable in theory by city bus number 051 from the intersection of Ninonos and Menandrou streets, near Plateia Omonias. It's only reachable in practice if the Athens city bus drivers aren't on strike. 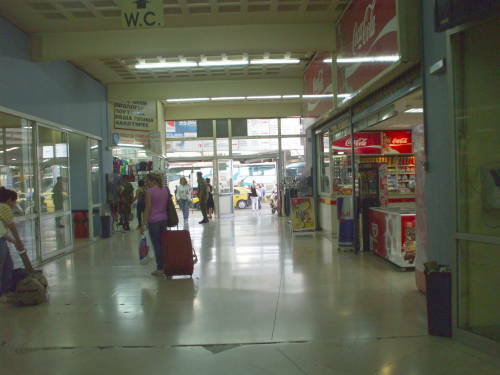 Bus Terminal B handles other destinations. It is about 5 kilometers north of Plateia Omonias, reachable, approximately, by city bus number 024 running from the main gate of the National Gardens. 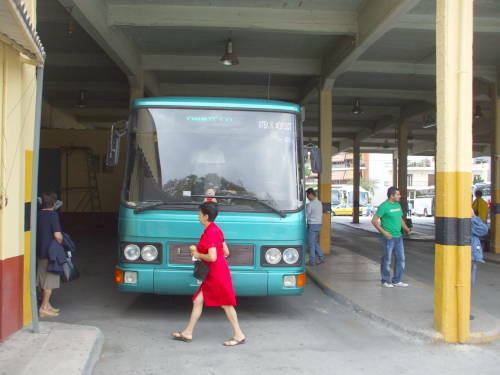 You get out of bus 024 at the address Liossion 260, listed as the bus terminal's location in the KTEL schedules. That address is a small car repair garage. Get off the bus there, turn right onto Gousiou, and walk to the end of Agiou Dimitriou Oplon. 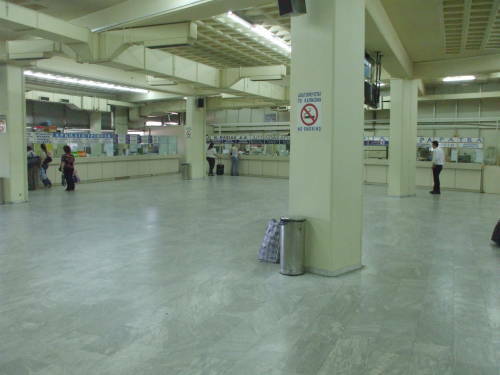 Bus Terminal B in Athens. Worthless "information" booth at Terminal B in Athens. I found myself needing to get between the two stations. The "Information" booth was empty, and I was told that it was almost never staffed. Someone working at one of the regional KTEL desks told me that the only practical way to get to the other terminal was to take a taxi. I asked how much a taxi between the bus terminals might cost, and they asked me where I was from. That seemed like a strange question, I just wanted to know the approximate fare. They explained that Athens taxi drivers tend to overcharge based on their estimate of the wealth of their victim's country. The whole system seems pretty Third World. On board a bus from Athens to Delphi. 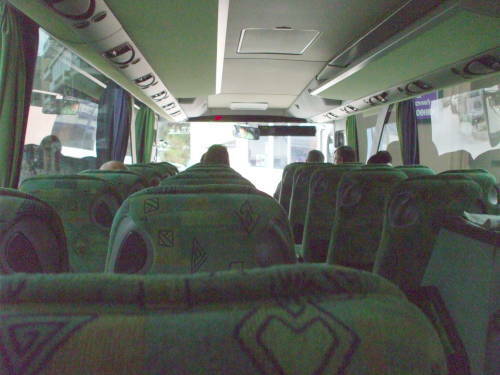 On board a bus between Argos and Nafplio. 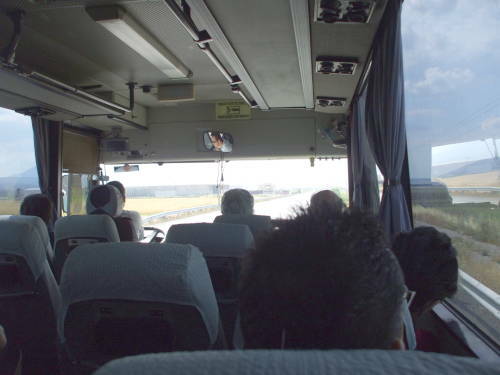 Some Greek long-haul buses have toilets on board. But I never saw any that were unlocked. 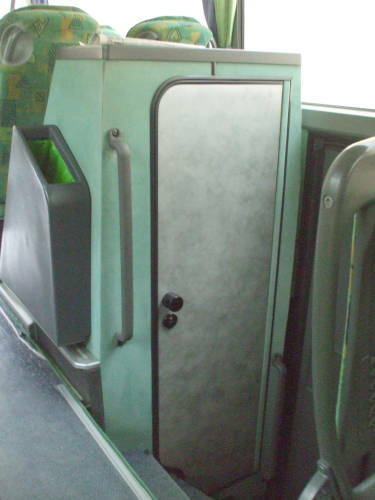 Locked toilet compartment on a Greek bus. 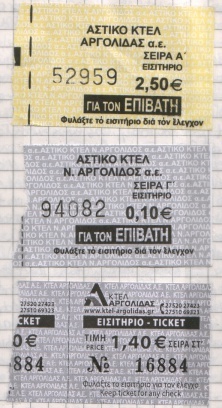 Tickets for bus travel between Nafplio, Argos, and Mycenae. KTEL bus ticket from the islands, for a ride between the towns of Fira and Oia on Santorini. The ferries are a much more pleasant way to travel, if you're hopping from one island to another.